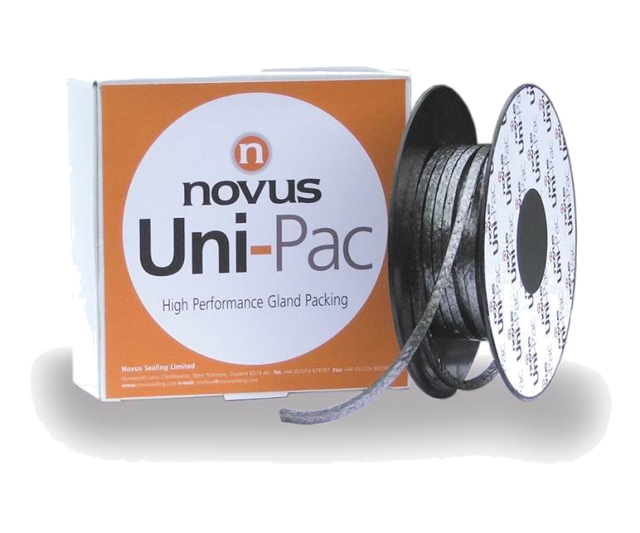 In addition to our sheet and gasket products Novus offer a full range of compression packings for valve, rotary pump, and reciprocating pump applications. Our packings utilise the most advanced production technique and materials to ensure high integrity even in the most demanding of industrial applications. Material constructions include PTFE, Graphite and carbon fibre and synthetic fibres in a variety of combinations. For high performance valve applications, we manufacture exfoliated graphite die formed rings in virtually any size, section or density to suit requirements.